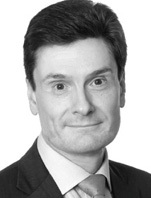 John Forrester is a partner in HFW's market-leading Shipping group, specialising in ship finance. With 30 years' experience in the sector, in 2017 he relocated from our London office to Singapore to lead HFW's Asia Pacific ship finance team. John's clients include banks and other financial institutions, shipowners, operators, shipbuilders and other investors in the shipping and offshore industries. As well as handling financing projects and loan restructurings, John acts for clients in relation to shipbuilding, ship sale and purchase, leasing and joint venture transactions.